Just about 30 minutes ago, I provided my e-mail address to this blog, as a Google search of Broward County Circuit Court Judge Michael G. Kaplan, ultimately led to a “hit” on this site. My name is David B. Dohner. I have been an attorney for over eighteen years in the State of Florida and I have two beautiful daughters, ages sixteen and eight. I seemingly fight to enforce my rights of custody and visitation, and to maintain the stability of my relationships with them, and, most importantly for their emotional, psychological and, ultimately, even, physical well-being, as my ex-wife is a former DCF supervising attorney, who now works in essentially the same capacity for a privatized arm of DCF, the Family Resource Center (FRC). My ex-wife, Kimberly J. Shafor, Esq., has been found to have abused her former position with the Department of Children and Families in an attempt to enjoin me from seeing my children, which she succeeded in doing for quite some time as the Broward County Circuit Court’s allegedly “Unified Family” Division’s Judges each ran from the politically problematic case – after entering the Injunction sought be DCF through her abuse of her office and position. 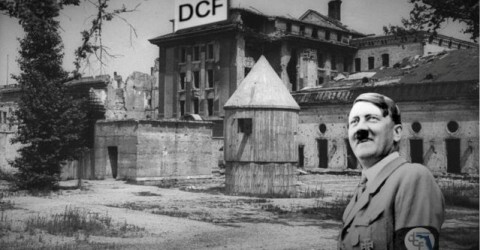 Take a look at D.C.F. v. D.B.D. ; 42 So. 3rd 916; Fla. Fourth District Court of Appeal (2010) (affirming the trial court’s findings that D.C.F. failed to meet its burden to continue the injunction and ratifying the trial court’s findings that Kimberly J. Shafor, Esq., the Mother, abused her position with the Department in order to obtain injunctive relief which had been denied by the Court,….). Once again, with the passage of time and the changing of court personnel, Shafor convinced a seemingly all too willing, Judge Michael G. Kaplan, to issue an Ex-Parte Injunction, which prohibits me from having any contact whatsoever with my children. I am tired of Shafor sequestering my children from me; I am tired of our system which has no safeguards for those who become situated as Respondents, at the mercy of serial Petitioners, who do so much damage in the time that passes while a remedy is sought through Emergency Motions; Writs of Prohibition; Writs of Mandamus; etc. I am taking a step back and attempting to find the proper points of attack in this completely unconstitutional system that will reveal it for what it is, and, it is my sincere hope, not only save my children, but prevent other families from being torn apart through these very same mechanisms. I am happy to correspond with anyone else who is enduring hardship or, worse, watching their chidren endure pain, at the hands of those who abuse the system, and some of the members of our judiciary, who simply do the politically safe and expedient thing – sign the Ex-Parte Injunction no matter how little sense its allegations make even on their face, and then run from any further involvement with the situation, …, ;like every other judge in the division, …while we, and our children suffer. Good luck to all of you suffering through anything similar, and God Bless you and your families. Mr. Dohner, you and I both know that there is absolutely no one that cares more about our children than us, given that it takes someone in a similar nightmare to sympathize with a person in the same situation. I know it takes a lot of courage to write of your experience with the “broken system” not only because you have to revisit sour memories and spiritual pain, but also because there is still some type of shady taboo about people that find themselves stuck in custody or dependency issues. The DCF, the courts, the corrupt privatized government legs funded by the state do a really nice job of portraying parents/guardians as evil people and of course that results in unfair characterizations by people you need to believe in you in the first place, including judges. However, Mr. Dohner, there was a time that these corrupt intrusions into the American family were targeted towards the lower class, illegals, single-parent homes, etc., because those were the best candidates to give up their parental rights. Stories like those you and I share are evidence that the real evil-doer actions have gone so out of control that they are now affecting “regular” people. In no way am I trying to suggest that I support any type of categorization of people, but I am calling it out as it is. I never thought about questioning the DCF — about them losing or killing children — until they messed with my family. However, I was not their usual target, only running into them because of some operational errors. So perhaps it will be people that were not ultimately supposed to fall in the system that might just have a chance of saving their children, or maybe even help save someone else’s children. I read your comment out loud to my family today as we enjoyed a wonderful day together in appreciation and reflection of where we stand today. But, I couldn’t help and become upset and somewhat anxious when considering the fact that if someone as prepared and knowledgeable as you was having such a terrible experience with the system, how could a single/independent parent with no resources or political connections, have beat out such a powerful Goliath of evil. But then, I read your comment again and could not stop reading over and over again, your last sentence in which you bless strangers trying to live through this nightmare and I felt as if I could feel your heart beating lovingly and angrily with mine, which is a feeling only people like us can feel, and I imagined your children were also mine, and I imagined how maybe we could do something great like get Kaplan out of the system using a secret weapon that even the littlest of persons could use — the power of faith. Lamberti thought it wouldn’t happen to him, but it did. I shamefully gloat in that recent victory although still recognizing that most votes were probably ignorant-based, mostly party-preference related. But I still gloat about it because I prefer to think that it was just an answer to my prayer. So although cliche, Mr. Dohner, maybe a prayer is a start and helping strangers is another. Thank you so much for your message to the world today. I am very sad you are suffering because of hatred and ignorance. I believe you will be blessed but that the path will be very difficult. I look forward to sharing and connecting with you. Before that big day when David stoned Goliath, he went to the river to find some stones. He carefully examined them and strategically selected them. All it took was one stone. Thank you very much for your reply and kind words. I very much agree that, somewhat ironically, those of us who do not fall into groups which have historically been subject to discrimination or “targeting”, if you will, have the greatest chance of effectuating systemic change. Change which is needed terribly urgently. To that end, I spoke with a representative of the ACLU today. As you pointed out, there is a tremendous stigma which suddenly becomes attached to anyone who is, no matter how erroneously, fraudulently, retaliatorily, or otherwise wrongly subjected to DCF’s scrutiny or the Court’s intervention through Ex-Parte Orders, which are inherently dangerous and, in my view, patently unconstitutional, for obvious reasons. I will look forward to corresponding with you at your convenience, and will keep you apprised of developments in this matter. My goal is to impact as many others as is possible, along with seeking any remedy, including a writ of mandamus or prohibition, through the Fourth District Court of Appeals, again, which will, in theory, restore the status quo. Of course, nothing is ever the same after the courts place their stamps of approval, no matter how wrongly, on a parent’s vengeful attacks, at their own children’s expense. I ask today for all facts and documentation be published and that the biases and self-interest of those paid be put aside. I ask today for the strength each parent needs to address, to face, to work towards the best interest of a child to be enough to face the battles and wars implimented for so many wrong reason be made evident and for the powers to be to grow tired of the destruction, energy, the time and loss this causes so many. Most what it cost a child. These things I ask in HIS name. Nicole, many a prayers carried me and my family through the nightmare. I thank you most humbly for taking the time to invoke the good spirit into the lives of all of those affected. God bless you and may your light grow brighter in this tunnel. -LMo. I was so sorry to read your e-mail and apologize for the delay in responding. I likewise apologize for sending this to you so early, but we began an evidentiary hearing yesterday which should have taken approximately two hours, and, as is true of almost all court procedures, appears to be turning into a three day affair, with this being day two. Feel free to call me this morning if I can help in any way. I am up and running so any time is fine. If you can not reach me this morning, call me at any time throughout the day at (305) 972-5720, and if I can not pick up immediately, I will return the call at the next break in he proceedings. All my best to you and your children. Please hang in there, for them. I know how difficult it can be, but picture life when this is all behind you, and it will be one day soon. You sound like a lovely person, and I look forward to speaking with you very soon.